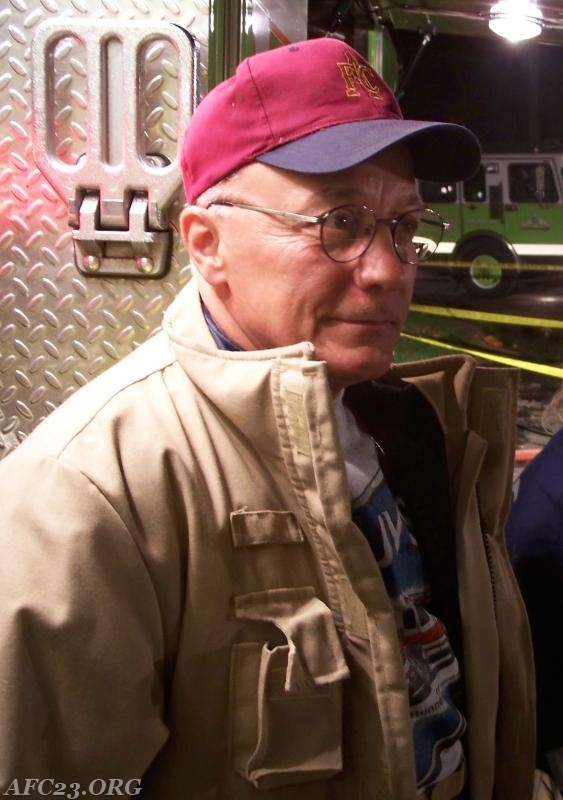 The Avondale Fire Company is saddened to announce the passing of Chief Engineer Richard J. Testa. Richie is a second generation Avondale Fireman with 59 years of service, serving as a Chief Officer for fifteen years and more recently over three decades of service as Chief Engineer. Following in his footsteps, his sons Augie and Paul also served the Fire Company as members with leadership roles. A Memorial Service will be held on Sunday, July 29th at 1 P.M. at the Avondale Fire Company, (23 Firehouse Way) with fellowship to follow. At Richie’s request, firemen attending the service and fellowship shall be in Class B uniform. For further information, please contact Fire Chief Steve Cole Jr. or President Guy Swift at 610-268-2486. 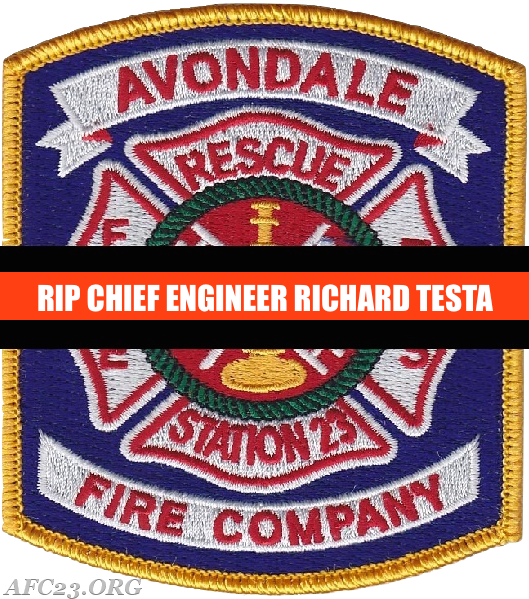 Please continue to watch the website as we will post more to celebrate the life of Richie Testa and his commitment to the Avondale Fire Company and communities it serves. I am so sorry to hear of Richie passing away. I joined the Avondale Fire Dept. the same time as Richie, we were junior fireman. We we great friends while growing up in Avondale. I'm sorry we did not keep in touch over the years, he was one great guy. I know he will be missed by his family and all his friends.